After the third hour, standard rates apply. Call us to see when we'll be featuring live music this week! 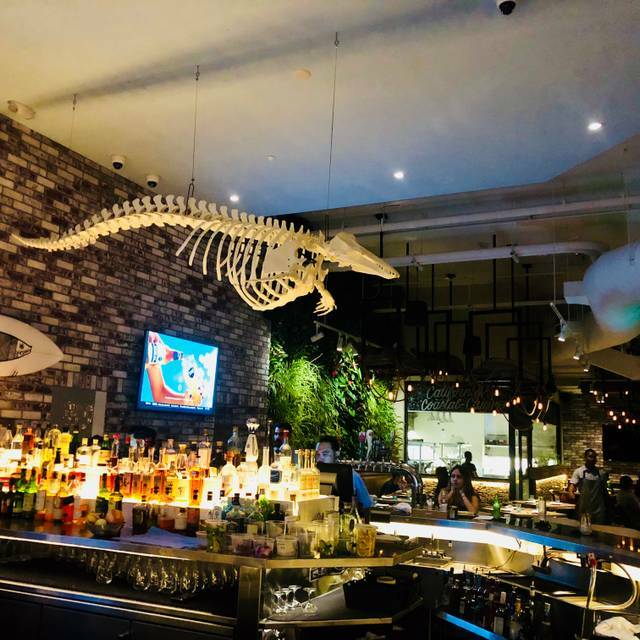 Recipient of Honolulu Magazine's Hale 'Aina Gold Winner for Best New Restaurant of 2019, Herringbone features authentic southern California coastal seafood dining and lounging. 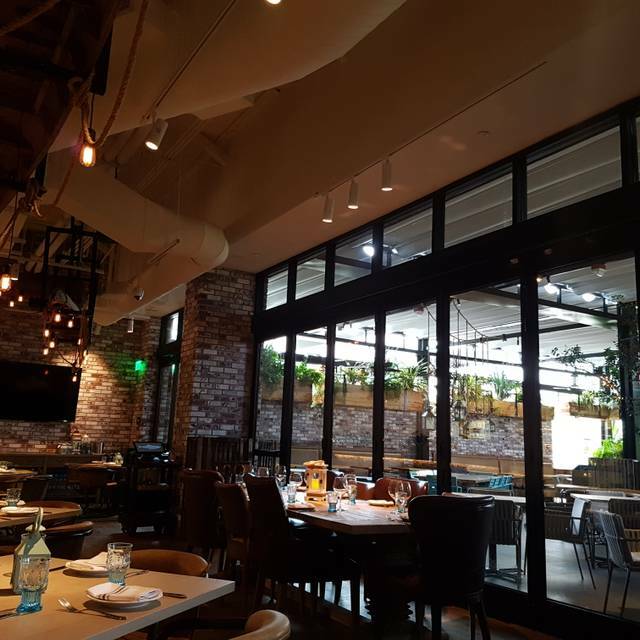 Located at the International Market Place, this indoor & outdoor dining concept brings southern California coastal cuisine to the heart of Waikiki Beach. 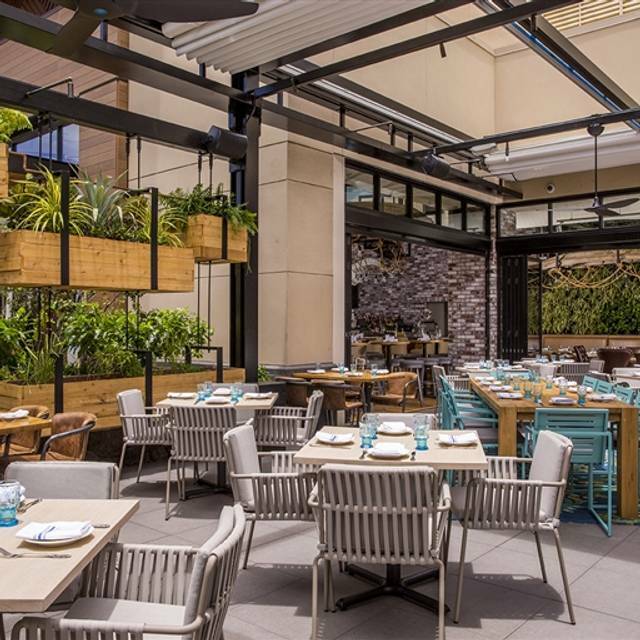 Serving locally sourced seafood, meats, poultry and vegetables, Herringbone honors the “fish-meats-field” roots of its sister locations in La Jolla, Las Vegas, and Santa Monica – paired with a carefully curated wine list, a collection of local beers and signature cocktails. Whether you choose to dine or simply drop in for cocktails and music, Herringbone emphasizes social dining at it's best with wave after wave of social interaction in a truly dynamic setting. Excellent wait staff. Ceviche was especially delicious. 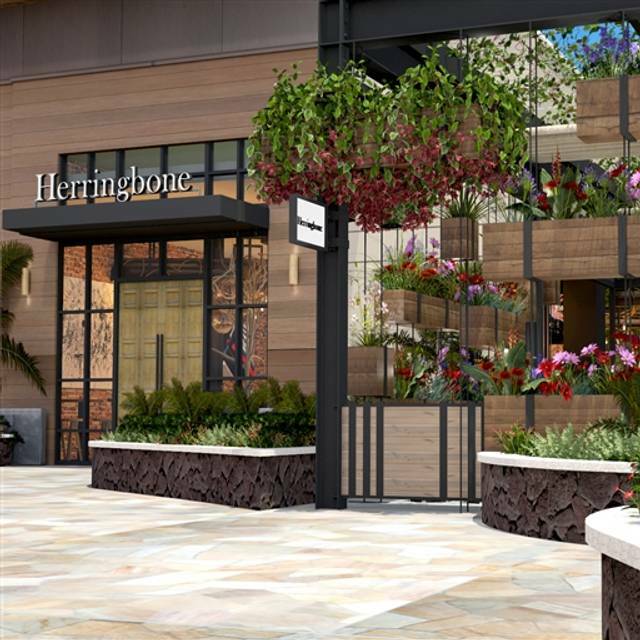 We thoroughly enjoyed our experience at the Herringbone. My favorite was the Brussels sprouts. Their happy hour was a great value. The bartenders certainly know their stuff. Our waiter was very accommodating and helpful. We would eat here all the time. 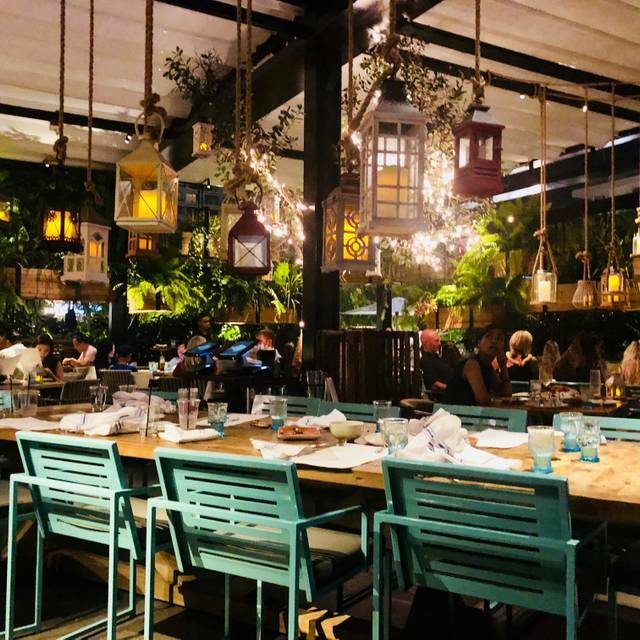 Amazing food and great ambiance! We had to wait a while to get our food. They did comp us a couple of shrimp on a bed of grits which was very good. The poke on flat bread was also very good but our main meal was just ok. Other than the wait, the service was good. The ambience was nice. I’d recommend to try. Service was excellent. Most of the food was really tasty - loved the Shrimp & Grits - but Tomahawk was unevenly cooked, and Buffalo Tako sauce overpowered the taste of the Tako. Enjoyed a lovely dinner at Herringbone. Will definitely return in the future. Our server Lauren was awesome and gave great recommendations. The food was AMAZING!!! 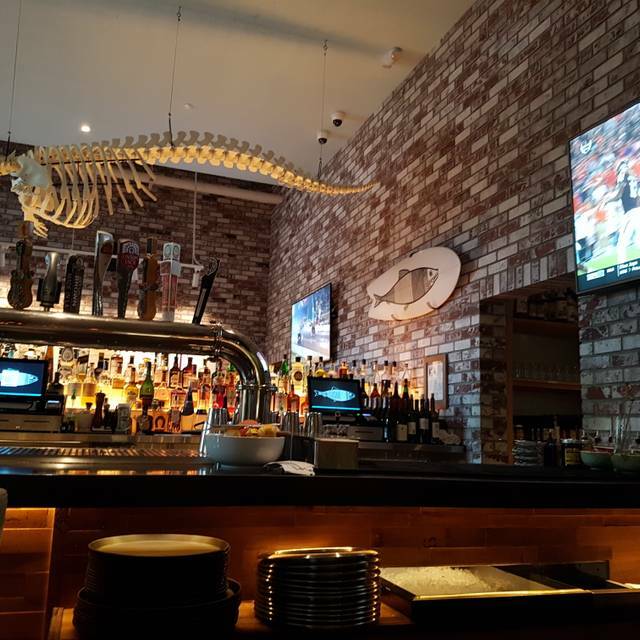 The service was fabulous, I would highly recommend Herringbone. Absolutely Devine. Ordered Fish Tacos the fish was very dry and bland. Tortilla was wet on the bottom. Very full filling. Lobsters, king-crabs, oysters, and shrimps were super fresh. Enjoyed so much we went 2 nights in a row. Take advantage of oyster hour if your able to! This was a Sunday night so I was a bit surprised they were out of a few items. It worked out OK . I think less salt would be good. one item had to be redone. The prices are more than NY prices for what you get. There is no bread. Desserts are $12.00 so that gives you an idea. The portions were adequate. When I pay $55.00 for a whole fish, 1and 1/2 half pounds, I expect them to fiet it at the table. They did not. Start to finish, Herringbone was fantastic! A hidden gem in Waikiki. Our server was more than attentive having unnecessary but welcomed conversation. The bartender made a personalized drink based off my likes. And our 13 year old daughter loved the decor. 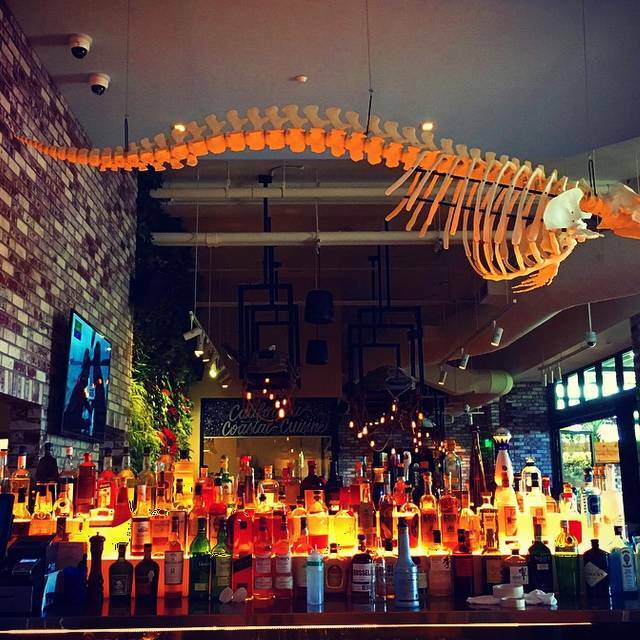 The three of us enjoyed the avocado toast, mashed potatoes, flatbread pizza, tomahawk pork chop and the king salmon. All absolutely fantastic! We would highly recommend this restaurant to anyone visiting Waikiki. Amazing place with great service and delicious food! Service and food were excellence. We sat by kitchen and it was too chilly. The chairs were not cleaned due to birds mess. Not very appealing. We loved the food but should pay attention to chair covers. We made a reservation for 9:00 By that time at least half of the menu was sold out. I had a salad that was very tasty but quite small for $21! For main course I had buffalo octopus that was outstanding and my wife had shrimp and grits that was very good. The waiter never brought our drinks and we saw the manager more frequently than the waiter. You must order the kids mac and cheese it was the best I have ever eaten!! The mash potatoes were amazing!!! We were disappointed that they ran out of the special at 6:00 pm. They also ran out of the tomatoe burrata salad. It was St. Patrick’s Day so they were really busy. Pricey but delicious! Will be going back. Beautiful fried fish and seafood tower. This food is totally craveable and luxe. Went for brunch. Loved it. Benedict was amazing. This is the second time being served by “Summer S”, and she has still managed to keep her title as the worst waitress I’ve ever had. I thought the first time she was just ignoring my friends and I (who also happened to be the musicians for the evening and let’s not forget that she put a bunch of random drinks on our tab that we paid for because they belonged to random people sitting at the community table we were at), but this last brunch she proved to be simply... very bad at her job. She clearly did not groom herself in the morning as her eyeliner was smeared down her under eyes indicating she had been out drinking the night before. In order to convince us that the bottomless mimosas were worth it, she said that she and her friends go to Herringbone and buy mimosas with shots on Saturday nights since she has Sundays off she can get wasted... it took us 30 minutes for my guests to get their first glass of their bottomless mimosas. I had to ask a bus boy, two separate times to grab her for me because she constantly forgot to refill my coffee when I had already asked(not to mention she forgot my coffee when I had ordered initially) and never got around to refilling my friends glasses with champagne. She didn’t have many tables to take care of so it shouldn’t have been difficult to see where we were at in our meal considering the open floor plan. This waitress has become an inside joke between my friends and I because she really is just that bad... Only until I saw we can make a private review on here rather than yelp, did I decide to let you know my experience. As a businesswoman in Honolulu I would never have accepted this waitresses skills acceptable for my establishment. Sadly after this experience, I’ll have to try out other brunch spots to entertain friends and clients. 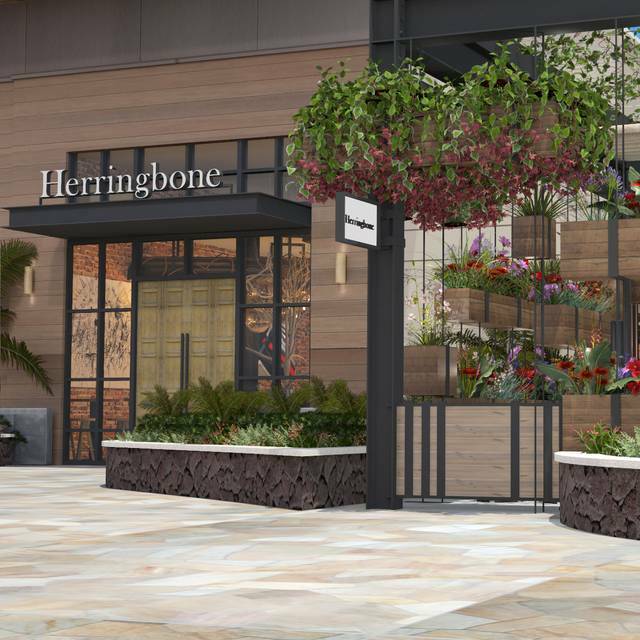 At least until Summer is no longer an employee at Herringbone. The service and attention to detail is what makes this restaurant stand out. Not sure who manages the place or trains their wait Staff, but the people know what they are doing. Have come here at least a half dozen times and can’t wait to come back. Food was 1/2 decent. Pork chop was pretty good. 1st round of crab was fishy, but the brought another which was fine. The whole fish tasted good, but had to throw it up later. Not sure why. Staff was excellent. Waikiki is one of the best places on earth. Will always go back to Hawaii, but not to this restaurant. Dukes is better as are so many others. Try the octopus! That’s my favorite! To start, I would just like to say that the first impression and walking in experience was very nice. 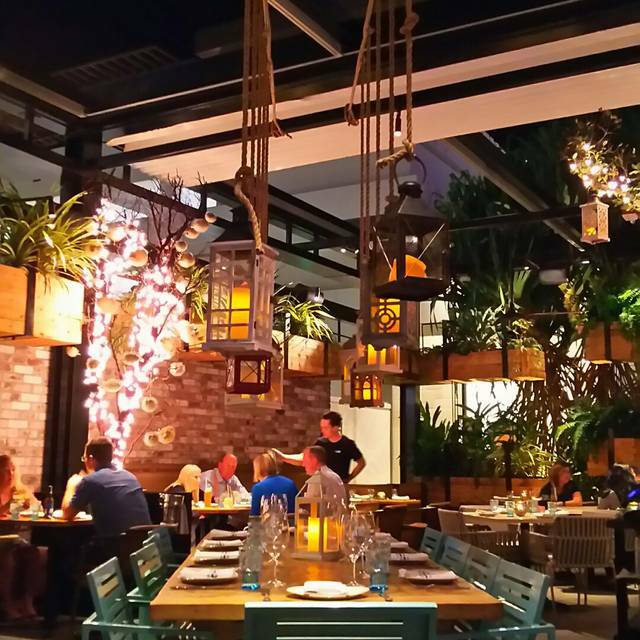 The combination of different décor styles using a drift wood look, tropical plants, other coastal living accents was very well incorporated in the restaurant. The oysters were very tasty, but I think the person doing the shucking needs a bit more instructions on how to do it a bit more cleanly. I kept getting oyster shells in my bites, but it was forgiven with the quality and flavor of the oysters. The Smoked Trout Caesar was excellent. Ordered it as a split to share. It was the perfect cleanse after the oysters to the main course. Ordered two mains. The Hokkaido Scallops were excellent. Tasty and cooked to perfection. Great flavor and tenderness. Only disappointment was they looked like they were plated like an appetizer. Would have liked a bit more of the bamboo rice that they were bedded on. For the Tomahawk Porkchop, that was the big disappointment. It was a very sad looking, little bone-in porkchop that I could have gotten at any grocery store and not really of any notable flavor or outstanding quality. I would pass at $38. The Mango Beer was a tasty delight for a lighter beer that went well with the meal through the desert. Not heavy or to light. Flavors most would like. It is located in the International Market Place 3rd floor, so the majority of the customers were tourists. That being said, we noticed more children then normal. There were some fussy ones, but being a fairly open restaurant, the crying and squawking tolerable for the most part. This is not an “affordable” restaurant. It is pricey, which I don’t mind if the value is acceptable. I got robbed that night. There were good points. The restaurant is beautiful. The service was outstanding, and the drinks were very good. The raw oysters were good. Hard to go wrong there. The Scallop dish was mediocre. Cooked to a fine texture but, lacking in any sophisticated flavor, and served over what might as well have been a lump of paste. Still, it wasn’t exactly offensive. The pork chop was downright embarrassing. I don’t complain about my food much but, they crossed the line when they served me the worst piece of meat I’ve ever had in a restaurant. I told the waitress that it was like eating a piece of felt. Absolutely not joking. Upon cutting into the chop, a thick piece of fuzzy, pale wool was revealed. I ate some and shared some. Everyone in my party agreed. Laughable. And we did laugh. The restaurant was kind enough to take it off of the bill. However, considering the scallops that a low end restaurant could have done better, the value was completely murdered. Now, here’s the thing: They must’ve known how bad the chop was. This wasn’t a cooking accident by a professional cook, who’s cooked a slab of meat thousands of times. They must’ve served me a chop they knew was crap. Freezer burned? I don’t know. Dastardly move to try and sell me crap for gold prices. Unfortunately, I can’t give them a second chance. The Sunday Brunch was fantastic to celebrate Girls' Day with my friends. We had the eggs benedict, avocado toast, lobster, oysters, and mochi pancakes. We also had bottomless mimosas: lilikoi, guava, and POG. Everything was delicious! We loved sitting on the patio too. Great food choices, great ambiance, service was just okay.